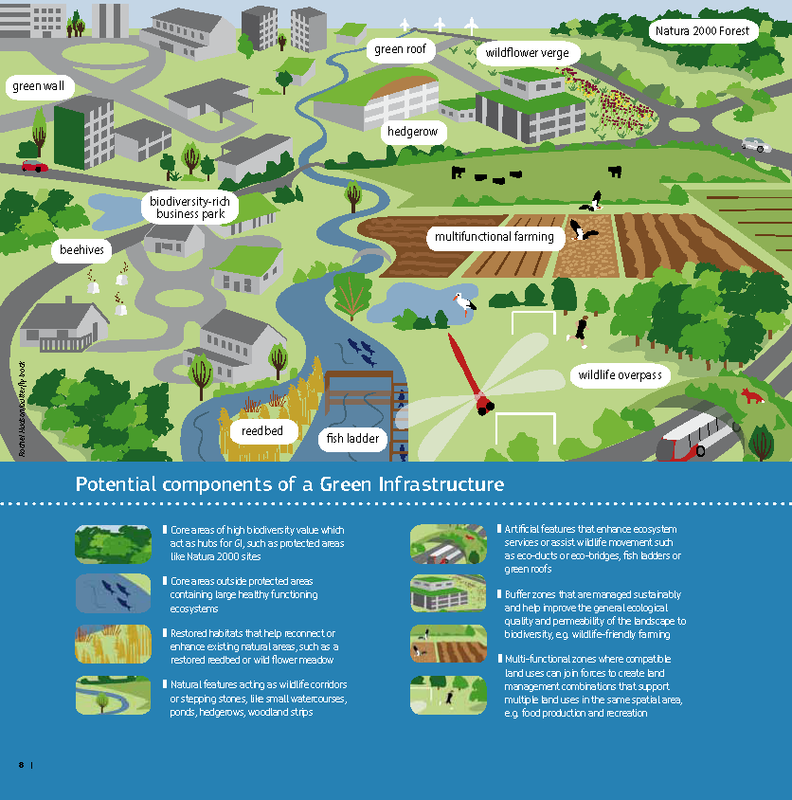 What is green infrastructure? Green Infrastructure (GI) is based on the principle that ‘protecting and enhancing nature and natural processes […] are consciously integrated into spatial planning and territorial development’. Accordingly, the Green Infrastructure Strategy defines GI as ‘a strategically planned network of natural and semi-natural areas with other environmental features designed and managed to deliver a wide range of ecosystem services’ in both rural and urban settings (EC, 2013a). For references, please go to https://www.eea.europa.eu/themes/sustainability-transitions/urban-environment/urban-green-infrastructure/green_infrastructure_infographic_EC.png or scan the QR code.